Israeli Prime Minister Benjamin Netanyahu is scheduled to visit India commencing January 14. Though the detailed visit program has not been made public, tentatively Netanyahu will be received by Prime Minister Narendra Modi at Ahmedabad on January 14, attend official meeting in New Delhi on January 15-16 and visit Mumbai on January 17, before heading back to Israel on January 18. There is possibility he may also visit Agra. His will be the second visit to India by an Israeli Prime Minister, first one being Prime Minister Ariel Sharon in 2003. Modi had made his maiden visit to Israel in July 2017 coinciding with the 25 years of establishment of diplomatic relations between India and Israel. Recently, addressing the winter session of Knesset, Netanyahu had stated, "In the past year, I have visited all continents besides Antarctica, and in January, I will make a reciprocal visit to my dear good friend, Narendra Modi, the Prime Minister of India, whose population is a significant part of humanity". 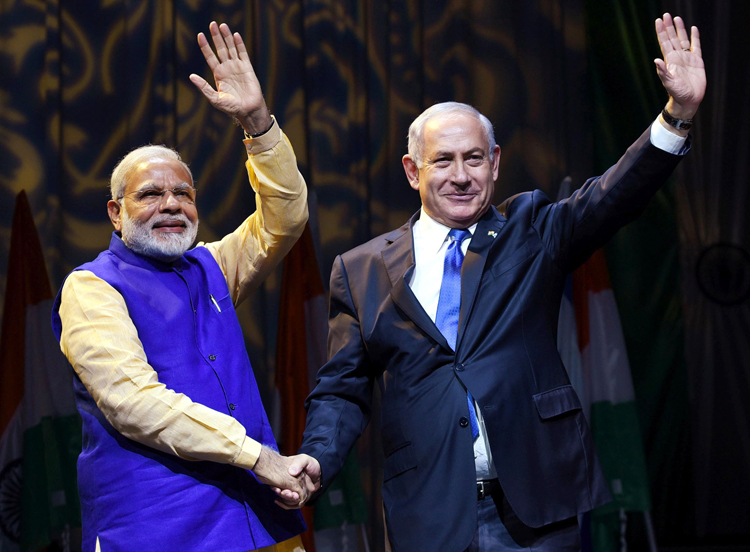 Modi's visit to Israel saw the India-Israel ties upgraded to a 'Strategic Partnership', with India identifying Israel as a major developmental and technological partner. Modi had said, "PM Netanyahu and I agreed to do much more to protect our strategic interests. We will also cooperate to combat growing radicalization and terrorism. Our cyber security authorities will exchange expertise and knowledge to tackle this menace in cyber space." Indian and Israeli companies had also signed strategic pacts worth $4.3 billion excluding defence. Prime Minister Netanyahu's visit comes at a time when there geopolitical dynamics are changing rapidly in West Asia, the battered ISIS is regrouping, some under different mantle, and Hamas is targeting Israel with rockets post US President Trump recognized Jerusalem as Israel's capital, also approving shift of the US Embassy from Tel Aviv to Jerusalem that may be effected in 2-3 years time. 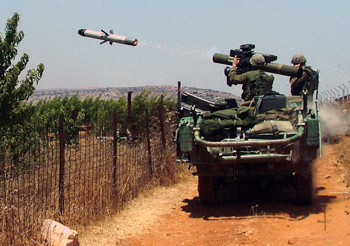 In November 2017, India scrapped the deal for Spike Anti-Tank Guided Missile (ATGM) with Israel, and asked its Defence Research & Development Organization (DRDO) to indigenously develop and produce a Man-Portable Anti-Tank Guided Missile (MPATGM). The Spike deal for 8,000 missiles, 300 plus launchers and technology transfer had requisite technology transfer had been cleared by the Defence Acquisition Council (DAC) in 2014 after extensive trials by the Indian Army. Price negotiations with Rafael Advanced Defence Systems were completed in 2016 and deliveries were expected to be completed 48-60 months thereafter. Rafael had even entered into a joint venture with Kalyani group to produce missiles in India and with the first facility opened in Hyderabad and would have been able to deliver 200 missiles in a month. Cancellation of the Spike deal is being viewed as a hiccup in India-Israel ties but that is misnomer. The Spike deal is too small an issue to come in the way of the ancient and close bilateral relationship, described by PM Netanyahu being on "constant upswing". In addition is the incredible personal chemistry between Modi and Netanyahu. Significantly, after they met on the sidelines of the UNGA meet, Netanyahu had said, "We imagined the endless possibilities for Israel, India, for all humanity." Israel has reportedly also indicated that if the Indian Armed Forces required, they can provide high-tech air defence systems like the Iron Dome and David's Sling. India is presently Israel's biggest arms market, with $2.6 billion arms deals inked in 2017 alone, including the largest ever defence contract for Israel Aerospace Industries (IAI) totaling $2.0 billion in April 2017 to provide advanced MRSAM air and missile defense system (Barak-8) to Indian Army as well as additional LRSAM air and missile defense systems for India's first indigenously built aircraft carrier 'Vikrant'. Israeli defense firms are responding enthusiastically to Modi's "Make in India" policy by stepping up collaborations with local companies and gearing up to supply India with drones, radar, communication systems, and cyber-security support. PM Netanyahu's forthcoming visit comes at a time when there is spike in terrorism in Af-Pak region, Pakistan (backed by China) is openly collaborating with terrorists and Islamists, increasing instability in the region. A radical mullah like Hafiz Saeed has been let loose. Recently, the Pakistani Government, on behest of the Pakistani military, abjectly surrendered to the Faizabad protestors on November 26, 2017 through a six point agreement. The violence in Baluchistan has gone up despite Pakistani genocide on the Baluchis. China gifted helicopter gunships to Pakistan are being used extensively in Baluchistan. Already, French and Algerian origin ISIS cadres from Syria have been confirmed fighting in Afghanistan. As more ISIS cadres home on to Af-Pak, the ISIS and Al Qaeda combine would attempt to target South Asia. To India's east, Pakistani national Ata Ullah heads the Arakan Rohingya Salvation Army (ARSA) in Myanmar, actively supported by Pakistan's ISI and terrorist organizations like the Lashkar-e-Taiba (LeT). Both India and Israel are affected by the demons of terrorism. Modi had stated in Israel, "India has suffered firsthand the violence and hatred spread by terror, so has Israel. PM Netanyahu and I have agreed to do much more together to protect our strategic interests and also cooperate to fight growing radicalization." Already the two countries are cooperating extensively in areas of defence, cyber security, space technology, water, agriculture, development, innovation and R&D. The expansion of 26 Israeli set up agriculture expertise centers in 15 Indian states is on the cards to help Indian agriculture improve its productivity. Prime Minister Netanyahu's visit should take India-Israel ties to another higher level – where even sky is no limit.